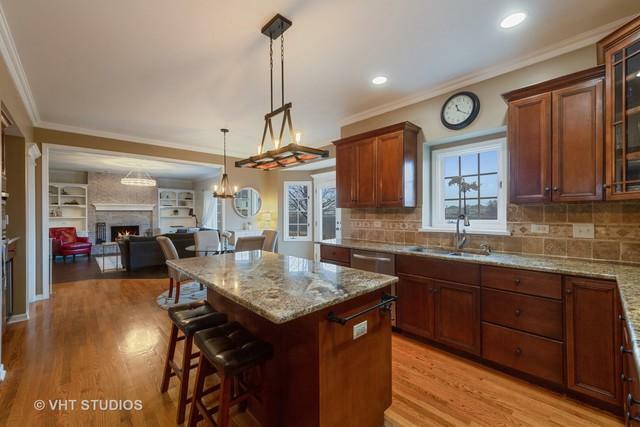 Updated & upgraded custom home in Tall Grass pool/clubhouse community boasts open floor plan. 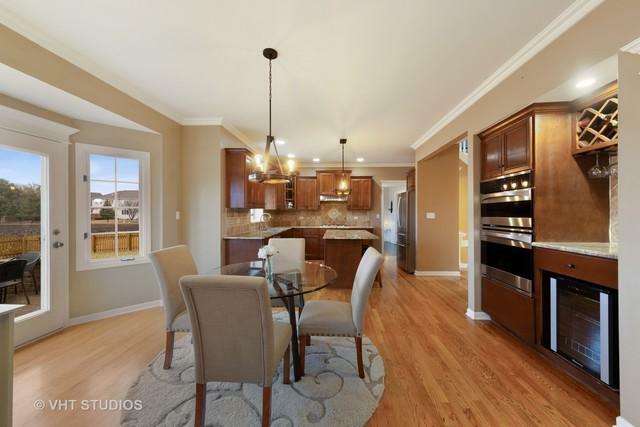 Gourmet kitchen has staggered 42" maple cabinets, stainless appliances incl. 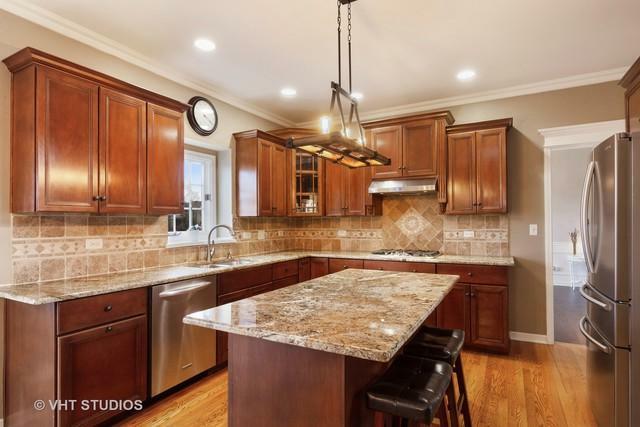 5 burner cooktop & double oven, granite counters + tile backsplash. Eating area is open to family room w/custom built-ins & gas fireplace. Formal living/dining rooms + 1st flr den & laundry/mud room. Large master suite w/trayed ceiling, luxury bath & dream walk-in closet w/custom organizers & dresser island. Good sized spare bedrooms incl 2 w/large walk-in closets. Rec room in basement + plenty of storage or room to expand finished area. 9' 1st flr ceilings. Painted in today's colors w/trendy fixtures & hardware. Extensive trim/millwork thruout. Gleaming hardwoods on entire 1st flr. Oversized 2.5 car garage w/epoxy floors. Fully fenced backyard backs to field & has brick paver patio w/seat walls. District 204 schools w/K-8 in subdivision. 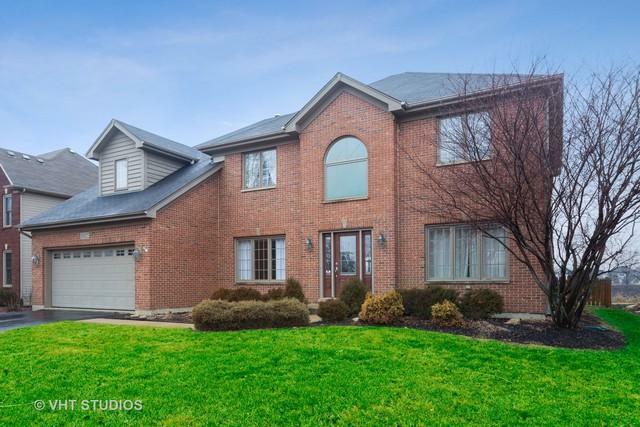 Great location, close to everything incl shopping, highways & Pace Park & Ride.